This post aims to examine the rhetorical situation for Planned Parenthood and my chosen artifact, the “Abortion Information” web page. 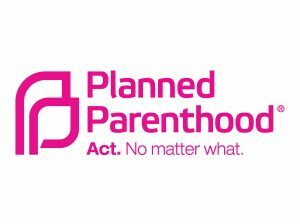 Planned Parenthood’s exigencies lie in the current political climate of the United States which threatens women’s reproductive rights. Challenges faced by the organization include opposition from right-wing politicians and anti-choice groups, convincing the general public that abortion is safe, moral, and should remain legal, and educating women in crisis about the resources available to them. Anti-choice arguments are not new in the American political climate; however, current attitudes about abortion are marked by a degree of urgency given that conservative anti-choice politicians currently dominate the federal government. The most appropriate target for Planned Parenthood’s rhetoric is a diffused audience, which is “removed further from the organization, yet still have an interest and potential influence” (Ford and Hoffman 66). Potential clients of Planned Parenthood, pro-choice advocates, and feminists are all separate from the organization itself but have a say in how it proceeds. The rhetorical situation surrounding issues rhetoric is similar to the rhetoric of Planned Parenthood. In this case, the issues are a lack of information about abortion services and the spreading of misinformation and hatred by anti-choice groups.